The Zeiss Humphrey Visual Field analyser is the accepted gold standard in visual field testing. 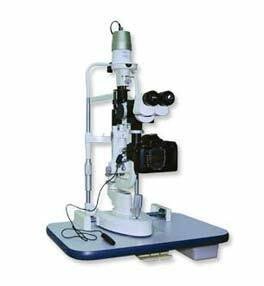 It is used as standard in hospitals for detecting/monitoring glaucoma and numerous other eye conditions. It is also approved by the DVLA for driver licence approval when required. A slit lamp biomicroscope has traditionally always been used for examining the front of the eye. However, by using a condensing lens, it becomes a powerful instrument for viewing the inside of the eye with a binocular view. By attaching a digital camera, it is possible to capture the view we obtain. This is particularly invaluable for showing patients our findings and demonstrating any undesirable changes due to contact lens wear. The intra-ocular pressure (I.O.P. 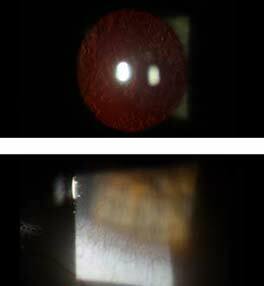 ), sometimes wrongly referred to as a ‘glaucoma’ test can be measured using several different techniques. 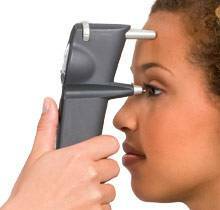 One method we offer is the I-Care tonometer, which accurately measures the I.O.P. painlessly and without the need for air puffs or drops. This is ideal for those of a nervous disposition.